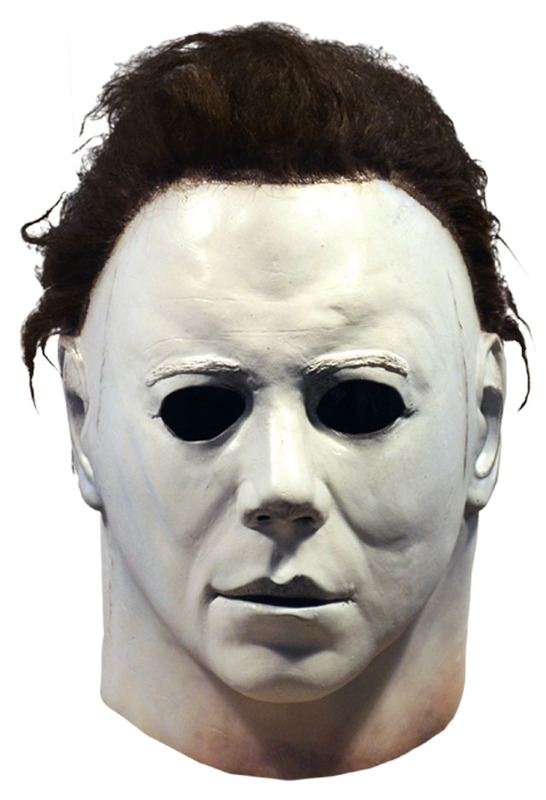 Trick or Treat Studios has unveiled their 2019 catalog of new and returning products that will be available this year, including the new 1978 Michael Myers “The Shape” mask, as well as the young Michael Myers clown mask, both of which are available for pre-order now. The Halloween 1978 Michael Myers mask is sculpted by Justin Mabry, an exact replica of the original Don Post Captain Kirk mask that was transformed by Tommy Lee Wallace (read our interview here) into the mask worn by Myers in John Carpenter’s classic movie. The deluxe overhead mask retails for $59.99. Also new for 2019 is the officially licensed Halloween 1978 Young Michael Myers clown mask, sculpted by Tyler Haslett, an exact replica of the mask worn by Will Sandin as Myers in the opening scene of the film. The injected plastic face mask is priced at $14.99. Both of these masks are now up for pre-order from our own Halloween Daily Store, an authorized retailer of Trick or Treat Studios products. Just click on an image below to order yours today. Additionally, we are also taking pre-orders for the new Halloween 4 Michael Myers Mask, Halloween 5 Michael Myers mask, Halloween 5 The Brute mask, and the Halloween 2018 Bloody Edition mask.